Simple and smooth. Those words just appear in my mind when I saw this one. Maybe Daniel wants to show the beauty of simple. Smooth color degradation, a bit like blur object. The icons were like Symbian Anna, if I am not wrong. Just check this screenshoot out. Groove by Danielfsousaa. 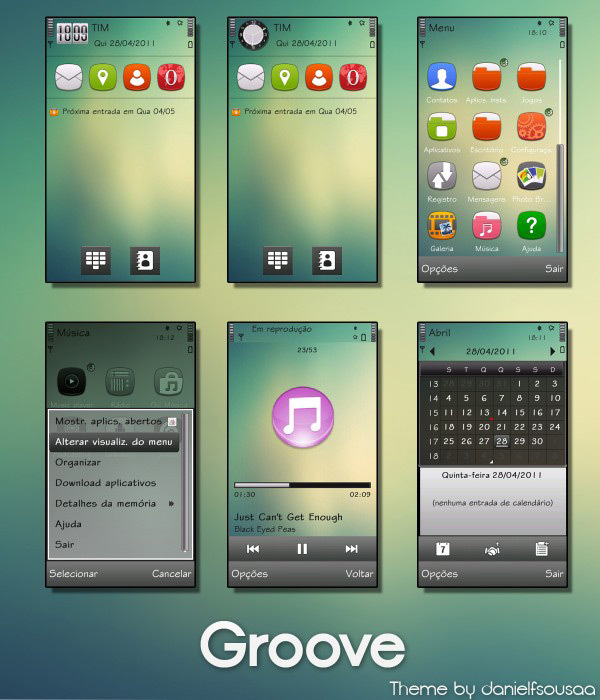 Download it by the link below and feel the Groove of this S60V5 Theme.